The Off the Common Coffeehouse in Bridgewater concert on Saturday May 5th 2018 at 7:30 will feature Chris & Meredith Thompson. All for $15 and the doors open at 7:00pm. The Off The Common Coffeehouse is located at the U. U. Church at 50 School Street in Bridgewater. Chris & Meredith Thompson are powerful performers with a natural warmth for the live concert stage" writes Tom Lounges in the Beat. Best known for the unique blend of their nearly identical voices, the Thompsons weave vocals, flute, guitar and percussion together creating a sound that is genuine, beautiful, and moving. The Thompsons return to their roots on this album, singing spiritual songs that they grew up with at Stone Soup and at the First Baptist Church in America. The Thompsons vocals are at times powerful and soulful on upbeat traditional spiritual songs such as “Hand on the Plow” and “Wayfaring Stranger”. 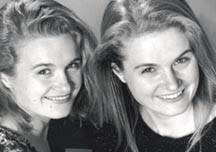 The unique harmonies rival those of the most beautiful early music compositions, with their sisterly voices switching harmonies and melting into one, mesmerizing the listener with stark and graceful simplicity. Their harmonies are particularly stunning on a cappella tunes such as “Be Still My Soul” and “Amazing Grace.” The spare instrumentation on the album reflects the Thompson’s live performance, and allows their emotive vocals to shine through. Exploring the Solar System and Beyond! Come to a FREE Viewing of the Movie "Marshall"